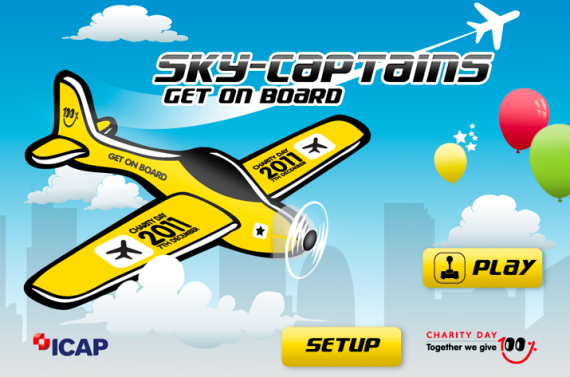 For the second year in a row, we got on board the ICAP Charity Day to create Sky-Captains for ICAP and ViewPlc. The objective is to fly as far as you can and by catching bonus stars and balloons then upgrade your aircraft. You can see how well you are doing compared to your local office, your city and globally. We can also message players about some of the projects that the ICAP Charity Day helps support.